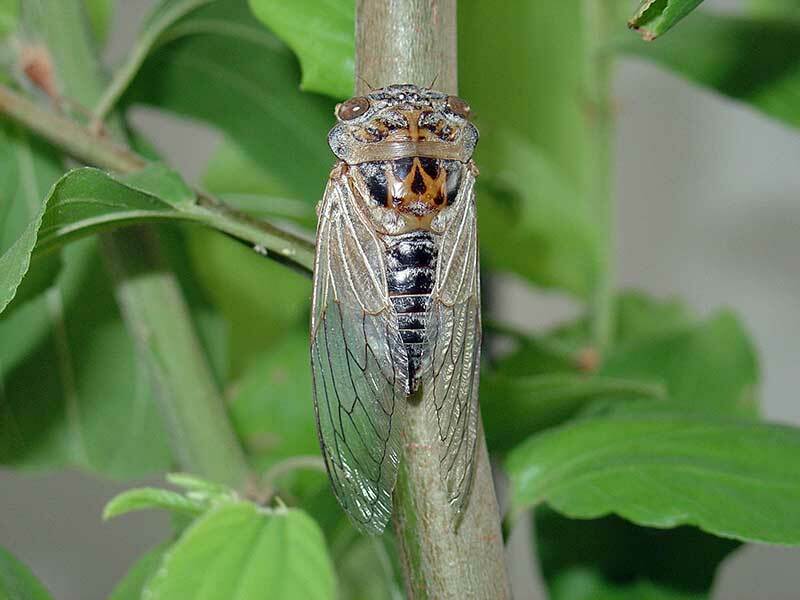 Insect follows Cicadidae family, and Hemiptera order. Size is between 20-24 mm, and is grey and brown in colour. Larvas feed on tree roots, causing great harm to trees. Adults are distinguished with a unique squeaking noise during daylight when mating.